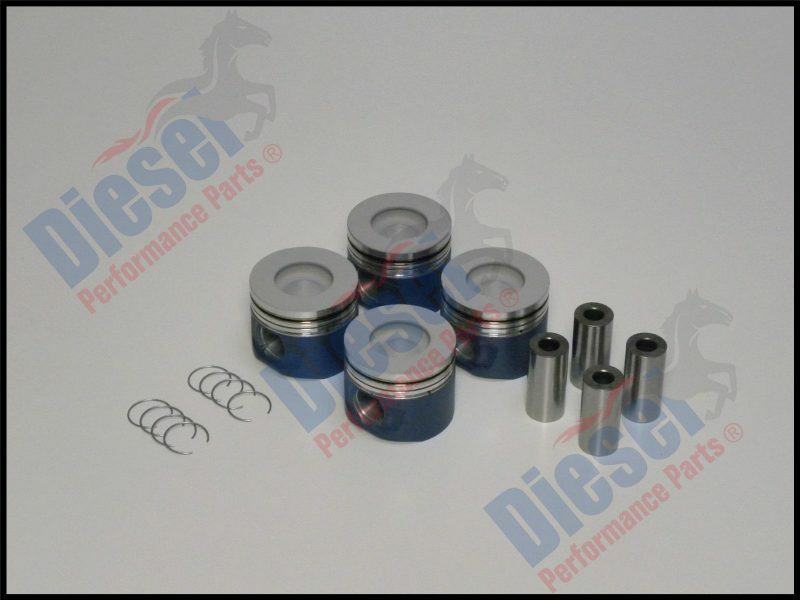 Performance, replacement pistons to suit 1KD-FTV engines in Toyota Hilux and Prado. These pistons have anodised and ceramic coated crowns, Teflon/Moly coated skirts. They are oil gallery cooled and have alfin inserts in the top ring groove. Top ring 2.0 mm ½ keystone, 2nd ring 1.5 mm, Oil ring 3.0 mm, Gudgeon pin diameter: 34.00 mm. Sold as an engine set of 4 pistons and includes pins and circlips. Piston ring set required, RSTO820, available in STD, .50 and 1.00.